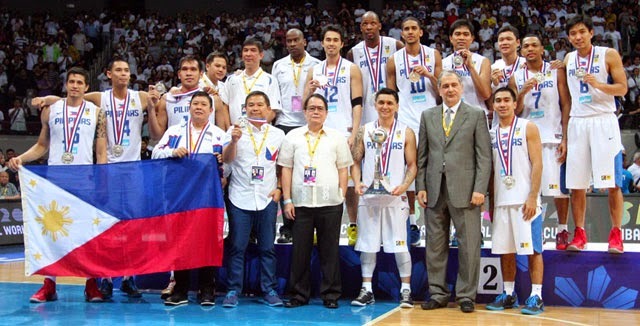 The Gilas Pilipinas, Philippine national men’s basketball team, will make make its historic return to the world basketball arena at the 2014 FIBA Basketball World Cup in Spain. 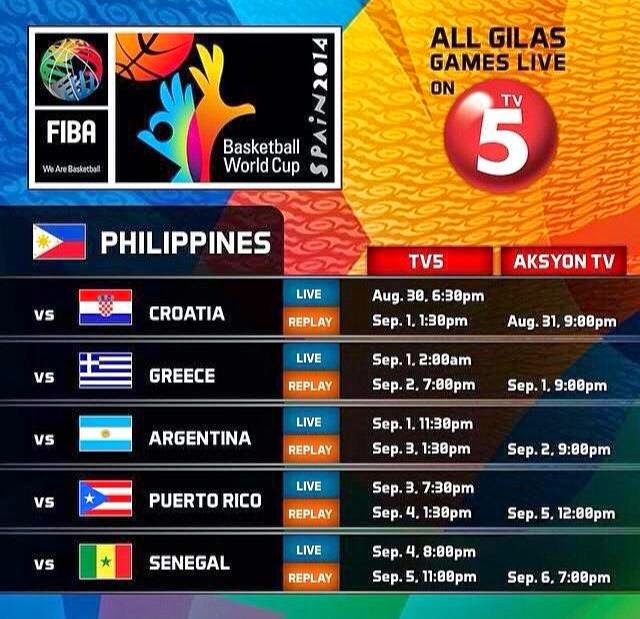 Gilas Pilipinas team will compete with Croatia, Greece, Argentina, Puerto Rico and Senegal in the first round of the tournament. The schedules below follow Philippine airing time on TV5 network.